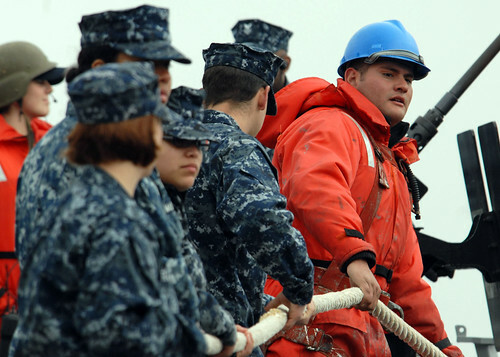 Sailors heave moorning during sea and anchor detail, originally uploaded by EUCOM. Verb: Lift or haul (a heavy thing) with great effort. Noun: An act of heaving, esp. a strong pull.